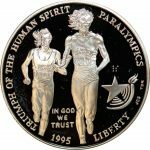 1995 Atlanta Olympics Silver Dollar Two Coin Commemorative Set Cameo Proof. Two Silver Dollar coins in this set. 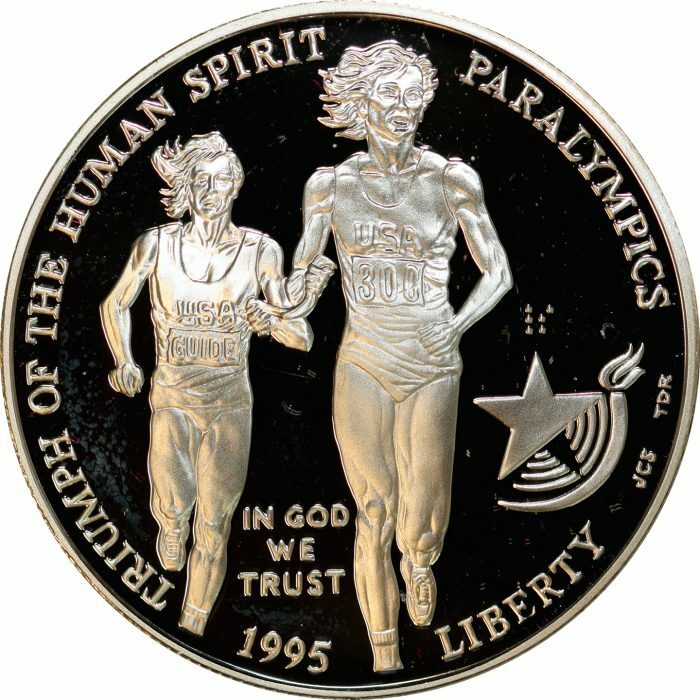 The Obverse of one Coin features Two runners, the other coin contains two gymnasts in competition. The reverse of both coins is the same and is adorned by the Olympic flame on a torch with the flames morphing into stars above it. Complete with Box and Certification of Authenticity.